The tiny Dutch Caribbean island Bonaire is nestled deep in the Southern Caribbean, located just 50 miles off the coast of Venezuela. With its pristine reefs just a few feet from the shoreline, it has long been regarded as one of the best destinations in the world for world-class diving without the need of a boat. Travelers only recently discovered just how much this remote 113-square mile island has to offer for families traveling with kids. Families will find this island a welcome retreat away from their devices—can truly disconnect and immerse yourself in the island’s natural beauty. 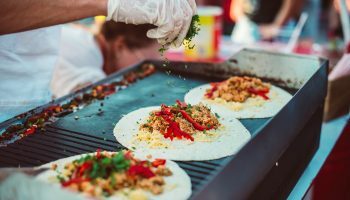 While Bonaire is a perfect place to enjoy water sports and uncrowded beaches, it’s also known for its vibrant culture and rich traditions, with influences that span India, Africa, Asia and Europe. Big genuine smiles of the locals will immediately lure you in—Bonaire is a place to soak up unspoiled natural landscapes and experience the true Caribbean lifestyle. 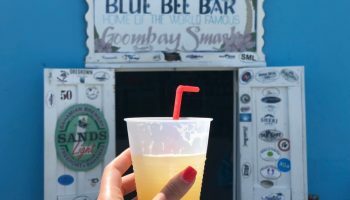 Our comprehensive guide highlights the most family-friendly activities and beach hotels in Bonaire so you can visit the B in the ABC islands on your next beach vacation. Traveling to Bonaire from the United States is easy by flying into Flamingo International Airport. Fly in direct from Newark, Houston, Atlanta or Miami on Delta, United and American Airlines. Or, fly to Bonaire from Aruba or Curaçao on Insel Air, Aruba Airlines and Divi Divi Air. Even though Bonaire is a small island, renting a car is the best way to get around. Taxis are an efficient and affordable way to get from the airport to your hotel if you don’t have a car. You can also rent a motorcycle, scooter or bike, and water taxis are available to visit Klein Bonaire. The main attraction in Bonaire is beneath the water’s surface, so it would be a shame to miss out on exploring its underwater treasures. The island’s entire coastline is protected and colorful coral is easy to find with just a snorkel and mask. Head to Tori’s Reef For one of the most accessible-entry snorkeling spots. 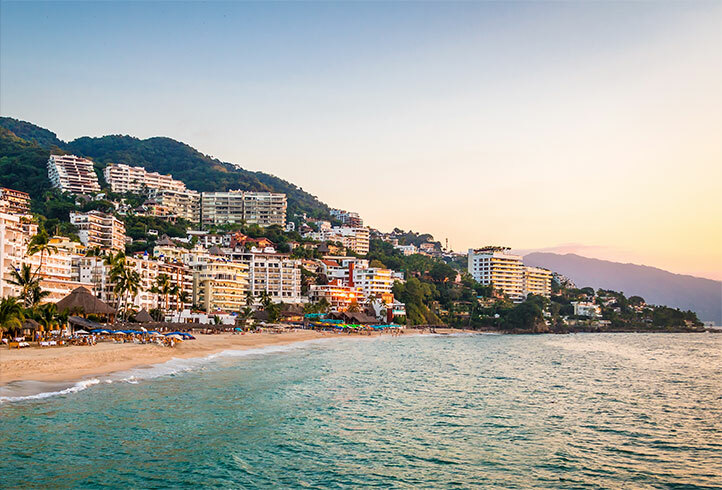 You’re spoiled for choice in other water-based adventures—the whole family can sign up for boating, kitesurfing, sailing, windsurfing and fishing. There are also plenty of eco-adventures available, like biking, birdwatching, caving and hiking. 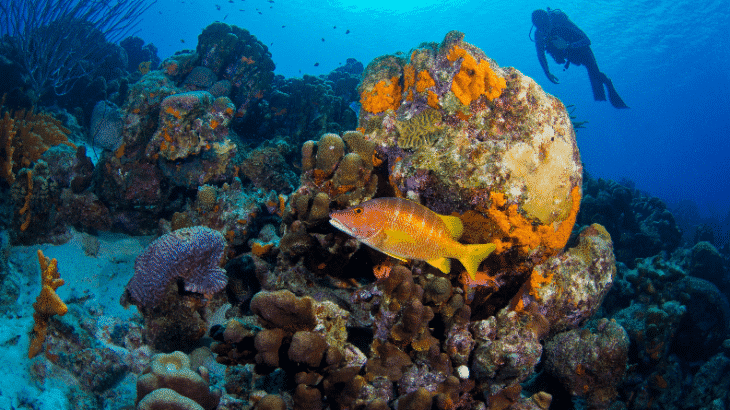 You’ll find over 22 beaches dotting Bonaire, where you’ll find spectacular reefs sitting just offshore. Descend down the stairs to 1000 Steps beach, which is really only about 67 steps, to discover white sand and coves surrounded by limestone cliffs —it’s a great spot for snorkeling with turtles. 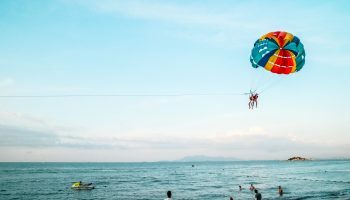 Bachelor’s Beach is ideal for swimming, while Sorobon Beach has shallow waters for the little ones and Te Amo has plenty of shade and views of planes arriving at the nearby airport. When the kids start to get restless, take a day trip to Klein Bonaire, a small uninhabited island just off the coast of Bonaire. This 1,500-acre island is part of the Bonaire Marine Park and is home to No Name Beach, the region’s most picturesque. It’s a great place to spend an afternoon snorkeling in the turquoise water and building sandcastles on the white sand. Located at the northern end of Bonaire, Washington Slagbaai National Park has hidden beaches, blow holes and tide pools. The 14,000-acre park is perfect for adventure-loving families—you’ll marvel at fascinating geological formations and spot native parakeets, flamingos and goats. Be sure to get a snapshot of the island’s lush flora and fauna on the hiking trails. 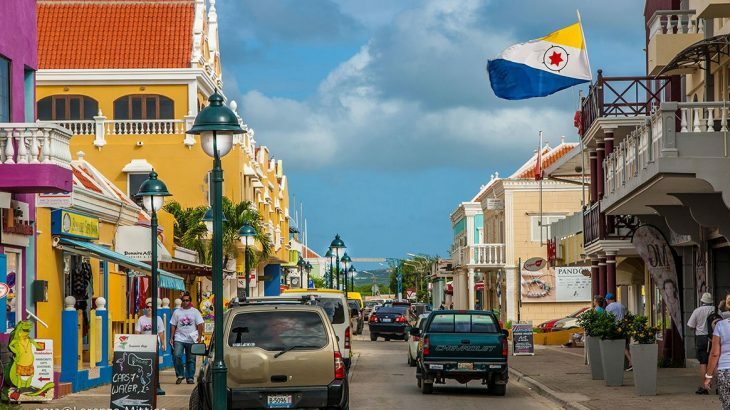 Kralendijk is the island’s colorful capital city and main port, where you can stroll the streets admiring vibrant Caribbean architecture, dine in waterfront eateries and shop along the main street Kaya Grandi. Catch a traditional music or dance performance while shopping for souvenirs in Queen Wilhelmina Park, then visit the Terramar Museum to learn about the island’s history through fascinating displays of ancient artifacts. Take a tour of the colorful foliage found in Bonaire’s Botanical Garden. You’ll learn about the plantation process in a desert terrain like Bonaire and stroll through the garden’s delightful maze of greenery dotted with ornate fountains and beautiful artwork. Afterward, enjoy the garden with a cup of herbal tea. Let the kids meet new friends at the Donkey Sanctuary Bonaire, where more than 400 orphaned donkeys roam the grounds. Climb to the top of the watchtower to observe them from above or get up close and feed a few cuddly residents a carrot. Animal lovers can also interact with goats and learn about milking and cheese making at Aletta’s Goat Farm nearby or spot bright pink flamingos at Pekelmeer Flamingo Sanctuary with binoculars from Pink Beach. 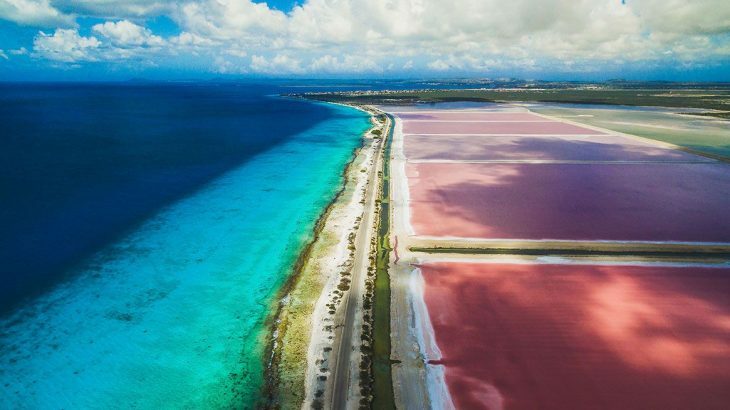 The birds flock here for the rosy brine shrimp that thrive due to the distinctive ecology of the salt pans—salt production is one of Bonaire’s main economic drivers. Take a tour of Echo Dos Pos Conservation Centre to learn about the threatened Yellow-shouldered Amazon Parrot. 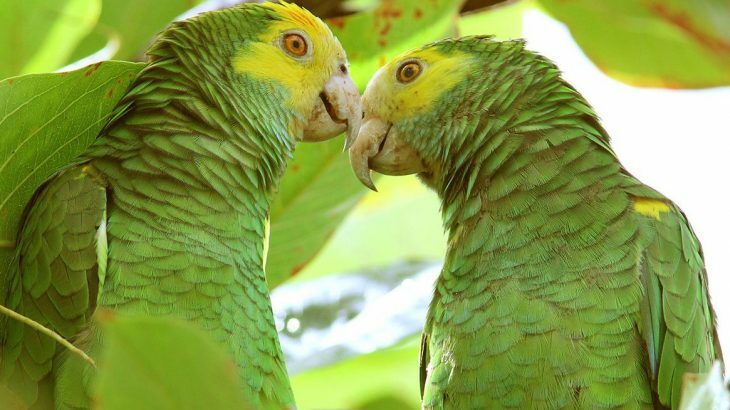 You’ll hear about their conservation efforts and meet a variety of rescued parrots as you explore the dry forest. The friendly and interactive tours are led by a knowledgeable guide every Wednesday at 4:30 pm. Offering an array of SCUBA diving classes, Van der Valk Plaza Beach Resort Bonaire is an all-inclusive resort with spacious suites for families. The on-site facilities include a sparkling pool and children’s entertainment program, plus access to kayaks and stand-up paddleboards. Families can watch live music and dance performances during theme nights or catch a movie under the stars. An oceanfront hotel that caters to families, Divi Flamingo Beach Resort & Casino boasts well-appointed rooms with tropical decor, two freshwater pools and Caribbean-flavored meals at the on-site restaurants. The Divi Pirate Crew organizes treasure hunts for kids in addition to movie nights and sandcastle building contests, while parents can rest easy as little ones can eat and stay free. There’s also a babysitting service for when parents want a night out at the casino. 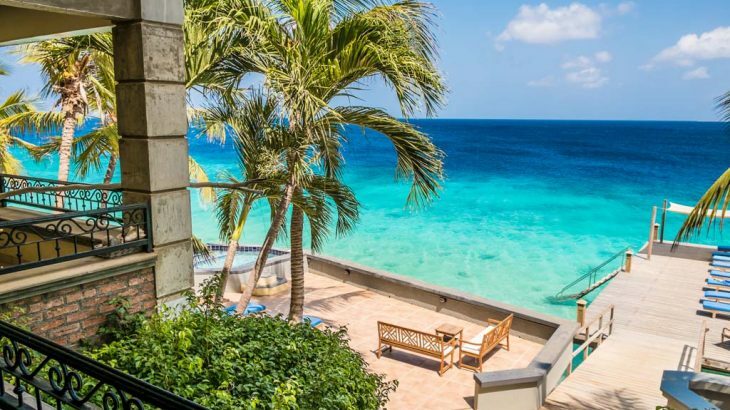 Eden Beach Resort Bonaire offers oceanfront accommodation with spacious two-bedroom apartments that feature a convenient grocery service in addition to fully equipped kitchens and a private terrace with ocean views. 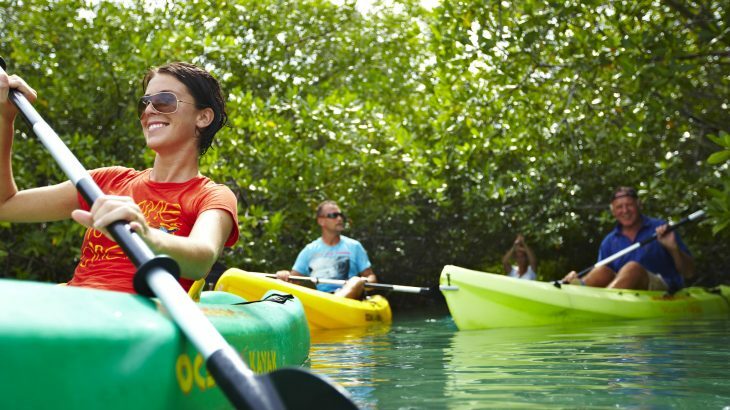 There’s a freshwater pool with a kids section and an Activity Center that arranges kayak excursions in the mangroves and bike tours. The hotel also offers access to one of the best beaches on the island with private cabanas spacious enough for families. Bellafonte Luxury Oceanfront Hotel Bonaire offers family-friendly accommodations with stunning ocean views, flat-screen TVs and fully-equipped kitchens. Take a dip in the pool, lounge on the private pier or dive right in to access the hotel’s house reef just a short swim from shore. With just 22 apartments, ranging from studios to penthouses, Bellafonte offers you world-class accommodations on Bonaire with privacy and personal service. Its exclusive accommodations have concierge on site, night security and daily maid service.